Stormy has been a regular on the website since its inception and is continuing to take up server space for a couple of reasons, one being I am the Webmaster so I decide on what goes up and what doesn't. 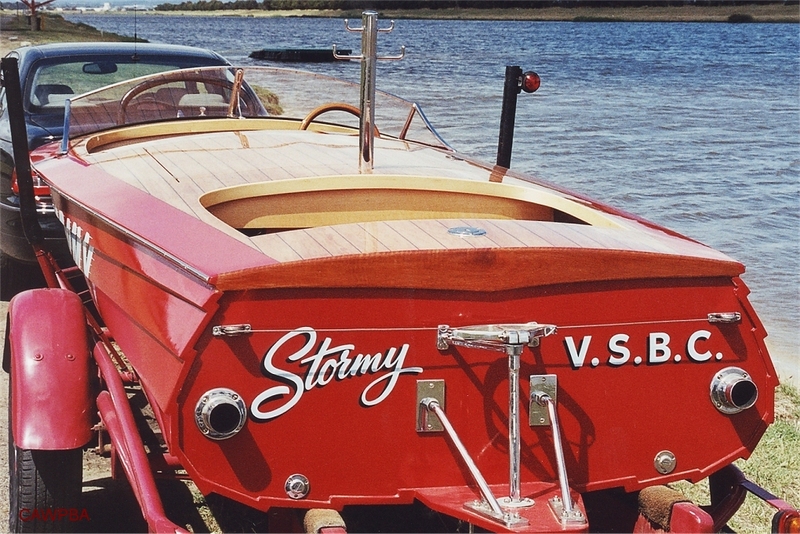 Stormy is a 1955 16' Eddycraft powered by a Ford 272 ci V8. Stormy and I go back a long way. 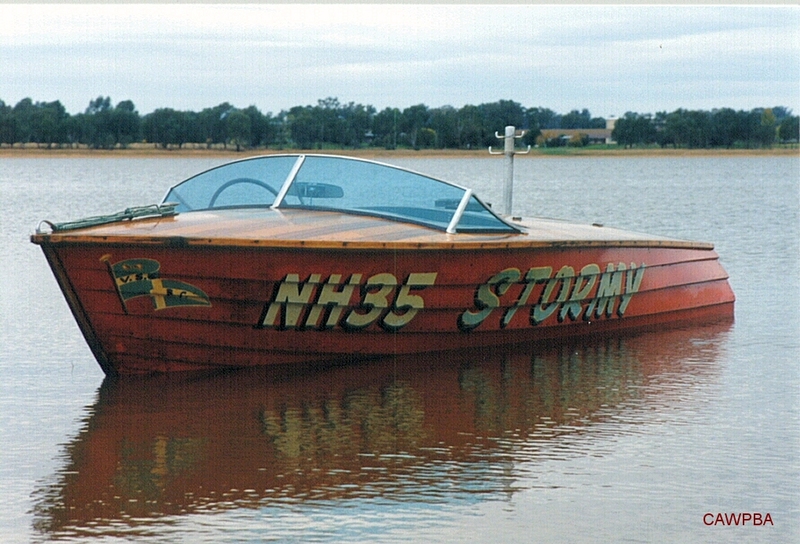 I learnt to ski behind the boat in the 1960's when the boat was owned by my uncle. As I grew older and started work, I continued water skiing with friends behind other boats and pretty well forgot about the boat. In the meantime, my uncle was using it less and less until as so often is the case, it ended up in the back of a large shed with rubbish piled high on its deck. As time marched on, I did the normal thing - got married and started a family. In late 1995, my uncle asked me if I would like to take Stormy off his hands. It was a bit of a shock in that I had pretty well forgotten about the boat. After all, it had been locked away in a shed for 22 years! 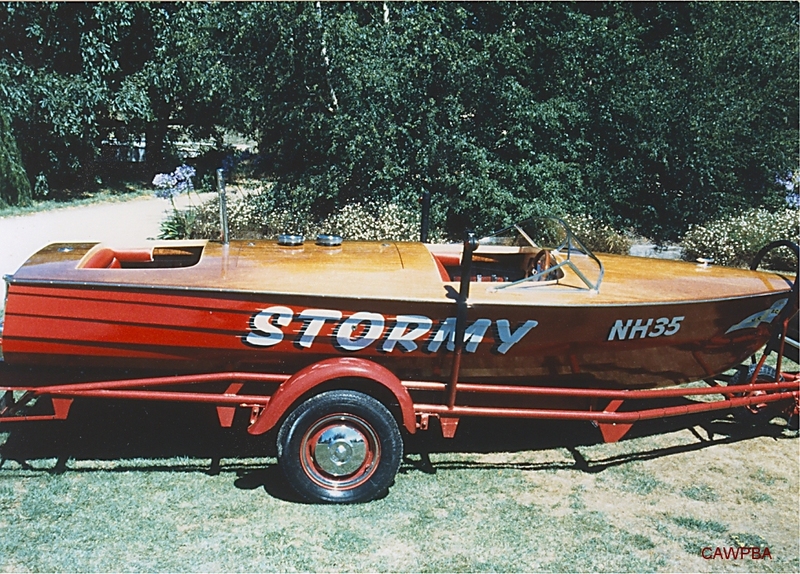 I spoke to the family and we decided we'd see how we liked power boating. The boat came home in a very tired state. With some reluctance, the old Ford Y block eventually burst into life. A bit of a clean up and a re-varnish of the deck brought some dignity back to the old girl. 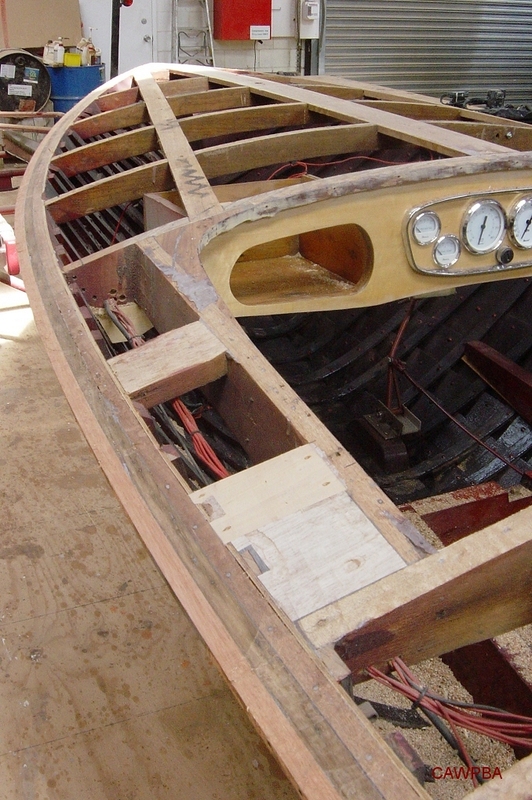 Wetting out the hull for a couple of weeks saw the planks tighten up nicely. The first day out was a bit of a disaster. The new electric fuel pump I had fitted was not up to the job. 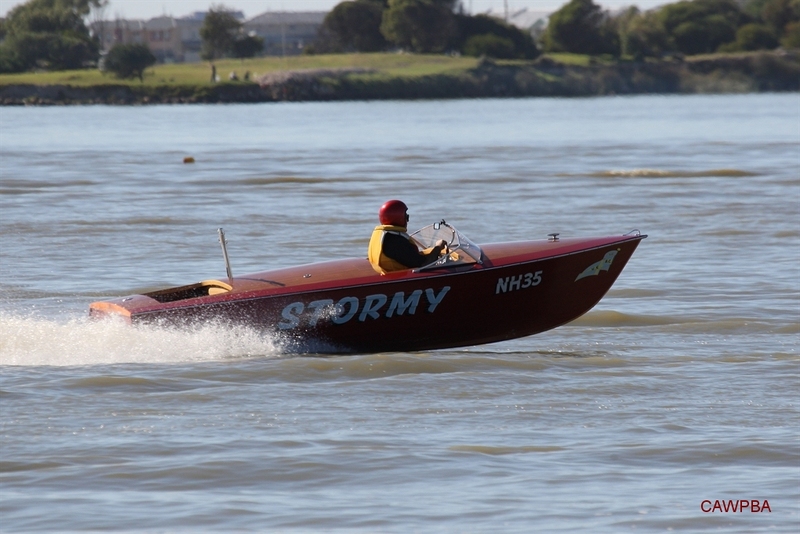 As soon as the boat reached about 15 mph, it starved for fuel. Worse was to come though. 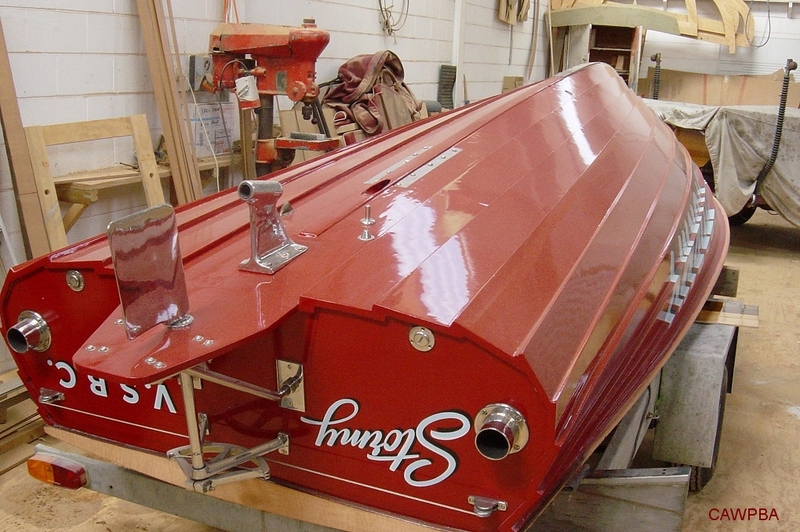 After idling around for a while, the entire contents of the engine sump emptied into the bottom of the boat. At home later, I discovered the oil had leaked through some rust holes that had formed over the years in the bottom of the sump. The heat and vibration had obviously loosened the rust up. 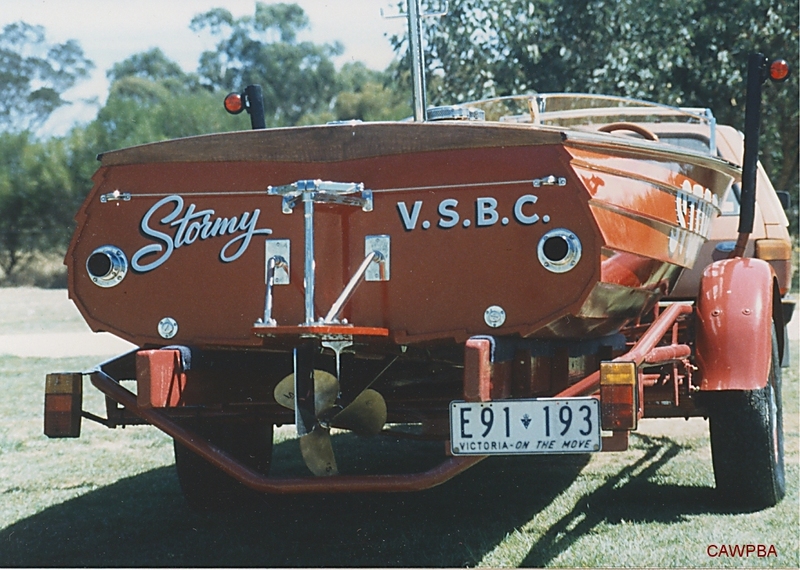 After welding up the holes in the sump and fitting a a larger capacity fuel pump (V12 Jaguar), we used the boat regularly for the next six months. The family enjoyed boating and the novelty of this old wooden boat. It wasn't all that pretty, but it was different and sounded far better than anything else on the water. 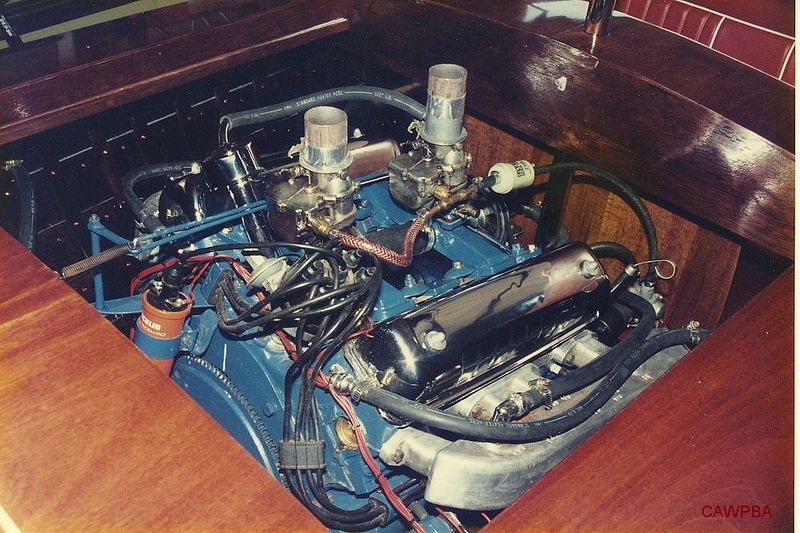 The boat was restored and engine overhauled in 1996 and has been in regular use ever since. It has suffered a few dings and scratches over the years. It is on its third deck since 1996 and recently had some rot in the keel repaired and a split plank replaced, but is still going strong. 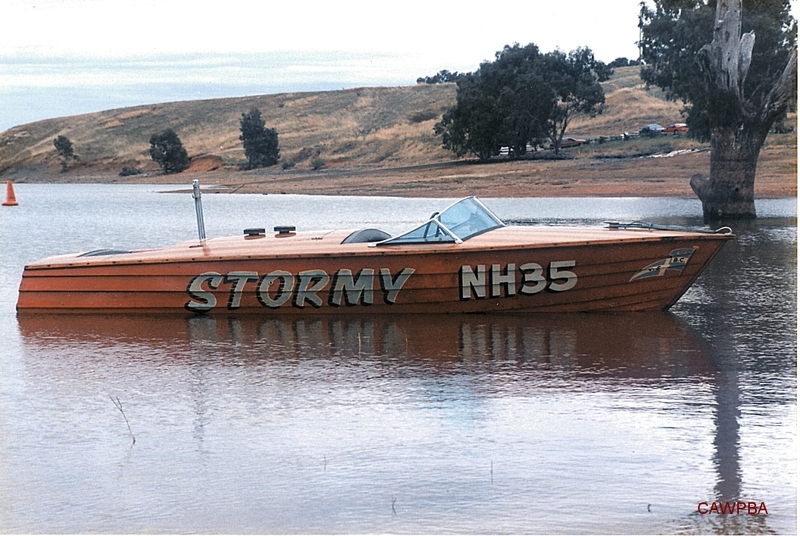 Stormy celebrated her 50th birthday in 2005.